Based on the information you provide us such as location, building dimensions including height and preferred bay size, door and window requirements, desired building use and gantry crane (if required) capacity we will provide at no cost to you preliminary building design drawings showing elevations, floor and roof plans and typical section. Act Industrial can supply from as low as $2,000 a full set of detailed construction drawings suitable for your Engineers certification and application for your building licence approval from your local Government authority. 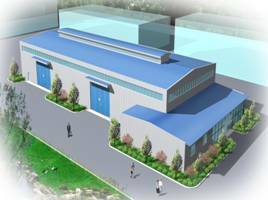 ACT Industrial can supply from as low as an additional $1,000 3D design drawings prepared by our architectural Engineers to give you realistic views 3D views of your building. Provide complete erection drawings for the proper identification and assembly of all building components. 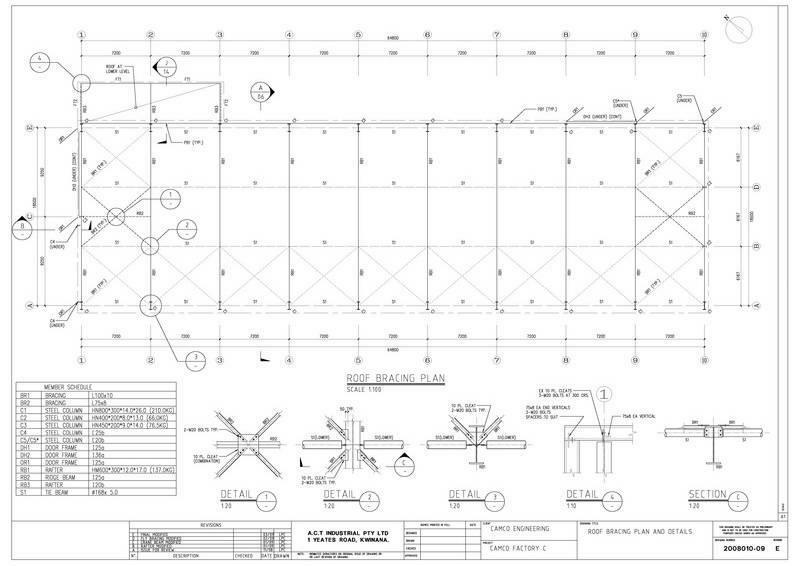 Drawings will show anchor bolt settings, transverse cross-sections, sidewall, endwall and roof framing, flashing and sheeting, and accessory installation details. Detailed Steel Bin Design Drawings. We can provide complete design drawings for our steel Skip bins, Marrel bins and Hook lift bins and for a small charge (refundable on the purchase of bins) we can provide design drawings for your unique specific project requirements including offshore bins to comply with the requirements of Australian Standards EN 12079.